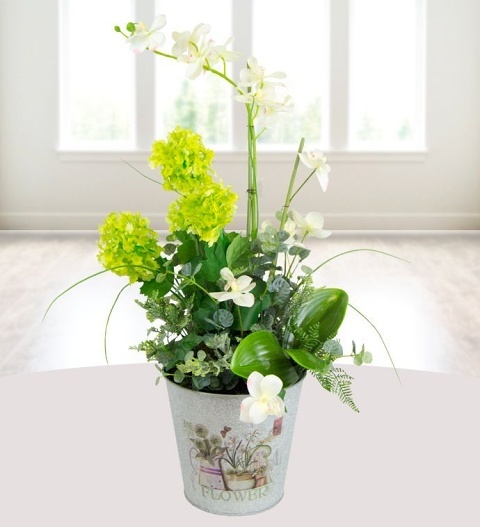 Our Anemone silk flower pot is a beautiful arrangement that has been skilfully handcrafted by talented artists. Our silk flowers are second to none and bring that instant wow factor. No need to water! Perfect for the home and suitable to send for all occasions: the Anemone silk flower pot is available for UK next day delivery. *Some flowers and foliage may be made from fabric, foam or plastic.